Sharing visual content through online channels can be beneficial for numerous reasons, but once videos are online there are very few ways to protect them from copyright infringements. This is the reason why an increasing number of video professionals are using watermarks to protect their material from illegal use. However, you may find yourself in a situation in which you need to remove all watermarks from the footage and luckily there are several different ways in which you can achieve this. If you are not using your own material, or if you haven't purchased the watermark-free footage you can try to remove watermarks by using some of the image editing techniques or you can choose to utilize some of the logo remover computer programs. We've gathered all the information that you may need in order to remove distracting watermarks that reduce the visual appeal of your videos, so in this article, you will learn how to remove watermark from video with Wondershare Filmora9 (Latest Filmora verison 9), online solution to remove watermark and with Remove Logo Now. 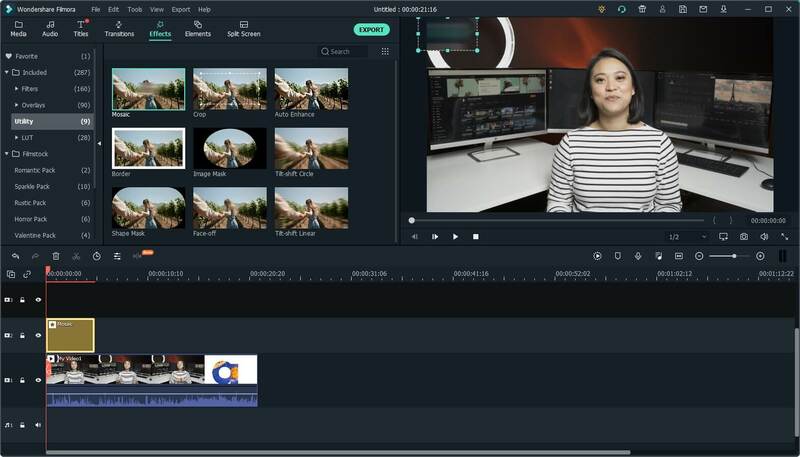 Removing watermarks from your videos with Wondershare Filmora9 (Latest Filmora verison 9) video editing software is a simple and easy process. You don't have to be an experienced editor in order to complete these simple editing actions. All you need to do is select a method that best suits your needs and perform a simple action that is very easy to learn. Let's have a look at some editing techniques you can use to remove watermarks from videos with Filmora9. Even though this method will not remove the watermark from the video, it can be used to make it less obvious. The Filmora9's Mosaic feature will enable you to blur logos and all other on screen graphics with just a few clicks. Click Efeects at the top, and chooseUtility at left in the Filter list. Go to media library to select Mosaic. Click plus icon on the thumbnail or just drag-and-drop it into the timeline. After it is applied, a mosaic square will appear in the preview window, adjust its size or relocate it by simply dragging it to the area of the preview window where the watermark is positioned. If the video has more than one logo you need to cover, clicking plus icon will add another mosaic square to your project. After double click on the effects clip, you can choose Blur Amount and Type to adjust the size and shape of mosaic. Click OK to apply the adjustment. The next method will enable you to remove the watermark from your video completely, but the cropping method will also remove a part of the shot that is wide as the watermark. Cropping the area where the watermark is located isn't possible in any editor, so if you choose to crop the video be prepared to lose a certain amount the picture. Once the footage you want to crop is placed on the video track in the Filmora9's timeline, right click on the clip to select Crop and Zoom. The crop window that enables you to crop video manually or by using automatic aspect ratios will appear on the screen. From here you can simply reposition the corners of the cropping rectangle by dragging it as much as necessary to remove the watermark from the frame. Click OK to apply the cropping effect and you have successfully removed a watermark from your video. Since cropping the watermark without losing a part of the frame simply isn't possible, replacing the existing watermark with the one the suits your needs is an option worth considering. In order to do this, you first need to import the new logo using the Import Media feature and place it on the timeline. The next step is to set the duration of the new logo file to be as long as the original file so the previous watermark remains covered throughout the whole video. 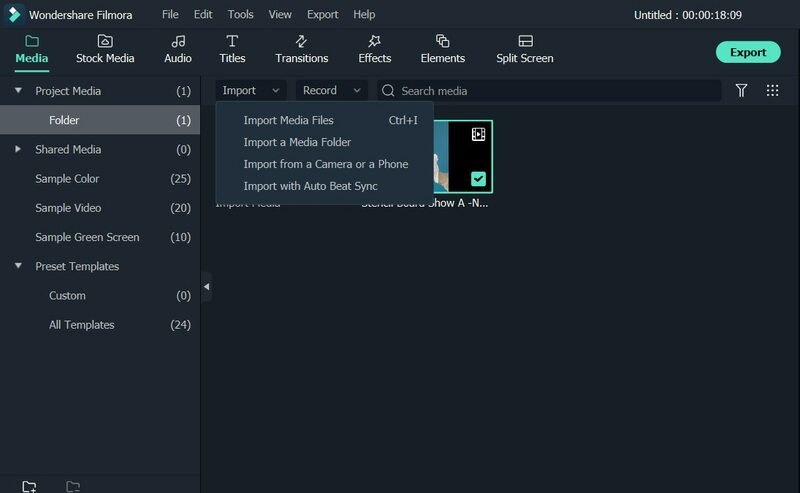 The new file you added to your project will be displayed in the preview window, simply drag the ends of the square to adjust its size and drag the image to place it over the watermark embedded in the video. Your job is now complete since the watermark in the video is now replaced with the one you selected. If you want to remove watermark from video online, here we would like to recommend Video Watermark Remover Online. As you can see from the title, you don't need to download, which is very convenient. In fact, the steps to remove watermark in a video is also easy to use. Basically, you can do it with 3 steps. Let's look at the steps below to remove a watermark in video. Step 1: Open Video Watermark Remover Online, and import the file you want to remove. Step 2: After it is imported, click remove watermark at right. Depending on the size of your video, it may take a while to convert. Step 3: After it is complete, just download it to your loacl device. Now open up your video, you will find the watermark is gone. Note: after clcik Donwload, you need to register to get the exported file. For free version, you can remove watermark within 5 videos and export in same format, but the functions are the same with paid version. Now, try to remove watermark in a minute. All these editing actions may be too complicated for inexperienced editors, but fortunately, there are a lot of logo remover software that will enable you to remove watermarks from videos with ease. Here are some of the most efficient programs you can use to remove unwanted watermarks from your videos. Even though Video Converter Studio isn't solely designed to remove watermarks from videos it is one of the best logo remover software currently available on the market. The full license to use the software costs around $40, while free version of the program is also available. Users of Video Converter Studio may convert their video files into AVI, MP4, MKV or WMV files without losing the quality of the video. Furthermore, Video Converter Studio allows you to make adjustments on your videos by changing contrast, saturation, and other image values, change the duration of the video, crop pictures, capture still frames or load subtitles, among other things. Modifying bit rates, frame rates, and frame sizes are also options for users who would like to control the video conversion process entirely. The software automatically recognizes all watermarks on the footage and makes the watermark removal process almost effortless. 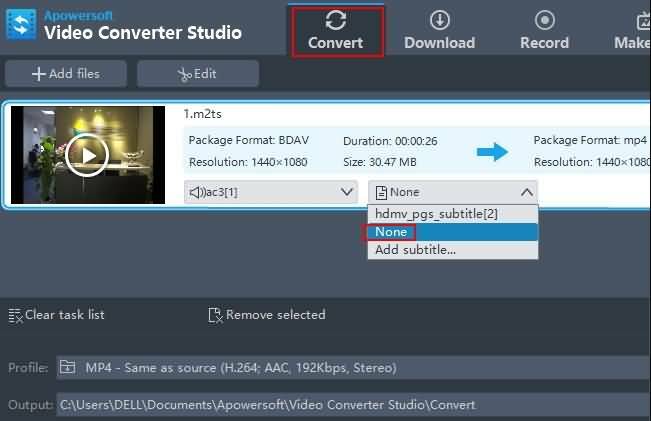 Video Converter Studio is a great option for non-professional video editors who need a fast and easy way to remove watermarks from their videos. This online platform is designed to make the process of removing watermarks from videos as easy as it can be. All you need to do is upload a video file from which you want to remove the watermark by clicking on the Choose File icon and wait for the Video Watermark Remover to finish the job. 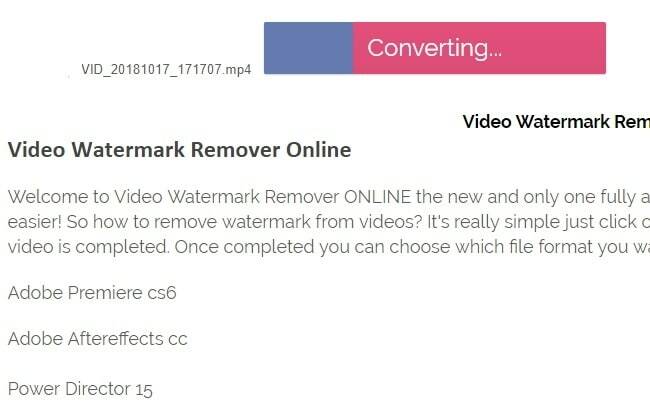 Users of this online platform can use it to remove watermarks from five videos per month for free, but the free version of the Video Watermark Remover offers limited options. Standard and Unlimited pricing plans provide a richer set of options and a larger number of videos per month, but they come at a price of $49,99 and $79,99. These pricing plans can be a great option for users who need to remove watermarks from a lot of videos each month because Standard pricing plan buyers can process 25 videos per month, while users who chose the Unlimited pricing plan can remove watermarks from as many as 95 videos per month. 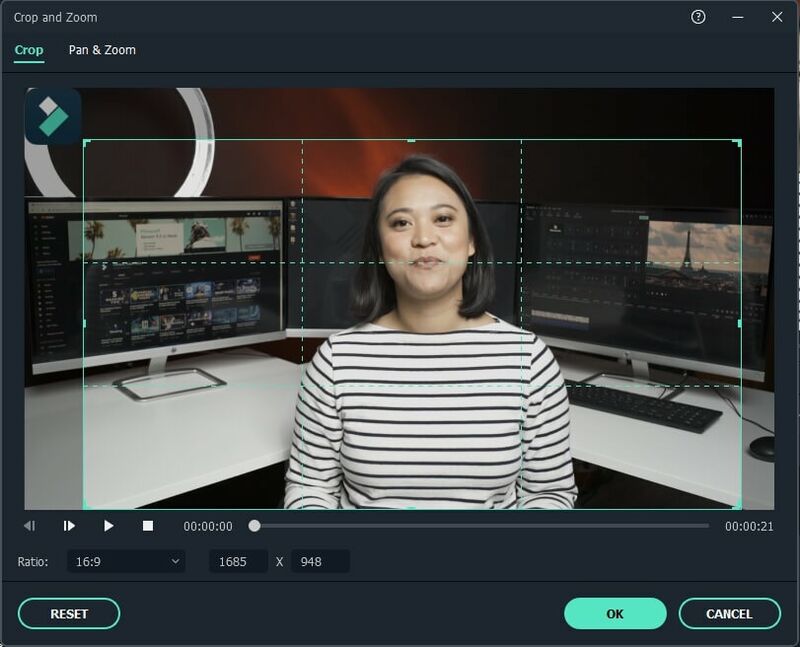 This software is equipped with algorithms that analyze the watermarks like subtitles and logos before removing them, but the quality of the videos can be slightly damaged during the watermark removal process. Nonetheless, Remove Logo Now is probably one of the best logo remover software currently available on the market. The software can be downloaded for free, but a Pro version costs $139,99. Here is how you can remove watermarks with Remove Logo Now software. After launch the Remove Logo Now software, import the files you would like to edit, by clicking on 'Add Files' icon. Now that the video file that contains the watermark you wish to remove is added to the software's media library, click on the 'Find Logo' icon that will automatically locate all the watermarks in the video. If the automatic process fails, switch to manual mode to ensure that the process is successful. Using the Marker tool will enable you to manually highlight the areas of the video that contain watermarks. Use the slider to adjust the radius of the marquee and simply click on the 'Clear Section' button to remove the watermark. With the solution offered above, it is not that difficult to remove watermark. You can remove it from online solution, or if you want to do more, you can remove watermark with Filmora9. Check out this video below to learn more.